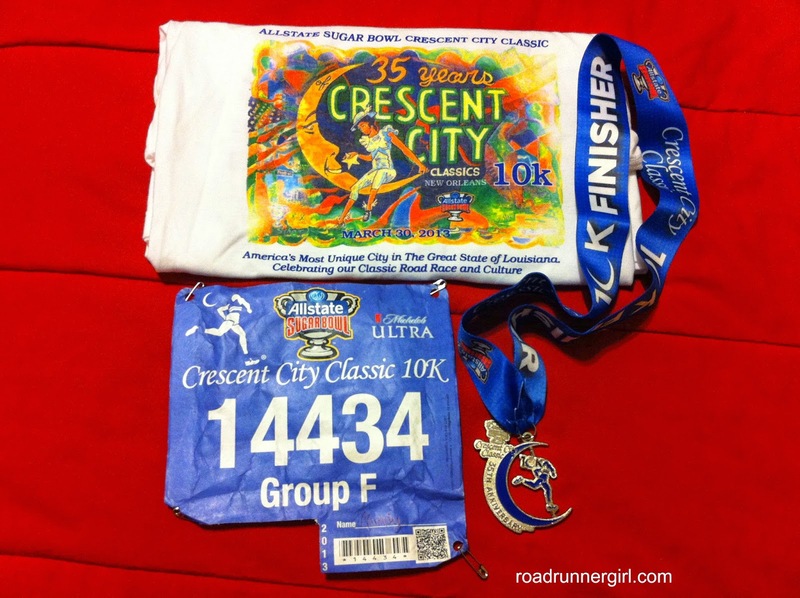 Road Runner Girl: Crescent City Classic 10K Race Entry Giveaway! Want to run a race in downtown New Orleans in the spring? Then the Crescent City Classic 10K is the race for you! This race is held every year on the Saturday before Easter. It starts in front of the Mercedes-Benz Superdome, takes you through the French Quarter, and then up Esplanade Avenue ending in New Orleans City Park. It is a gorgeous course...flat, scenic, and fast! 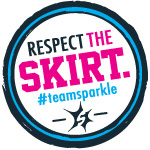 It is nicknamed the party race...because those 6.2 miles definitely feel like a party! It is so much fun! 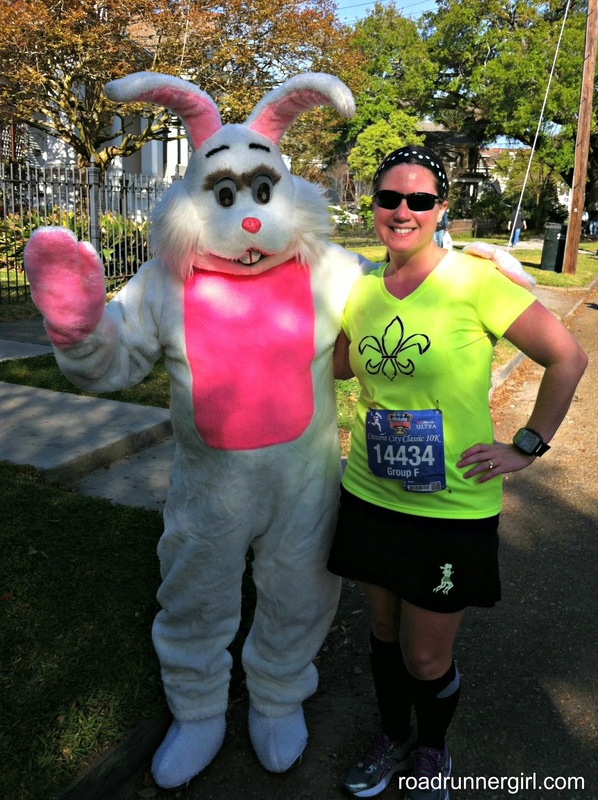 My tradition at the Crescent City Classic...getting a picture with the Easter Bunny during the race! Yes...he's out on the course! Not only is the race itself a blast, the after party is a lot of fun too! It is hosted by Michelob Ultra and has live music and local New Orleans cuisine! Oh and one other super important thing about this race....there's bling!!! That's right! Every finisher gets a finisher medal! And the t-shirt is always super soft and comfy! If you just wanna have a whole lotta fun...this race is DEFINITELY for you! It's sure to be a fun race!!! This will be my third year in a row running the CCC10K! I hope to see you there! But that's not all...I have a free entry to giveaway to one of my lucky readers!!! 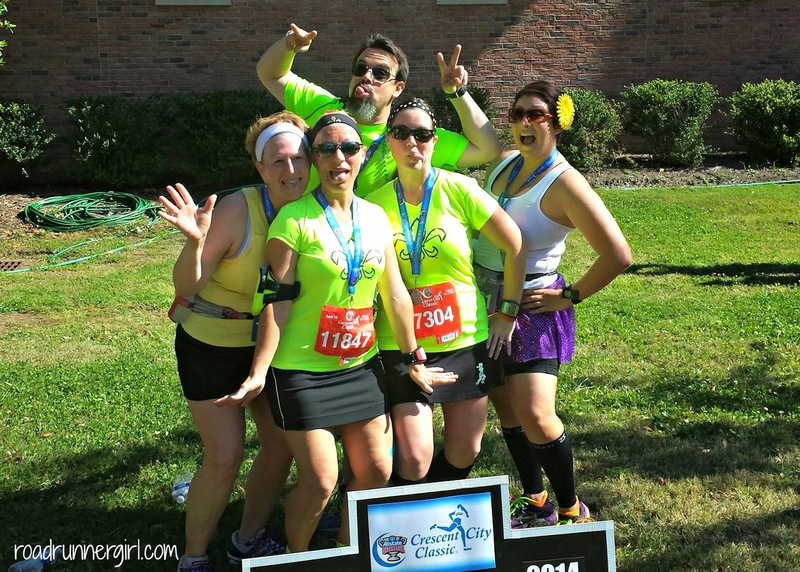 Enter below for your chance to run the Crescent City Classic 10K on April 4th! 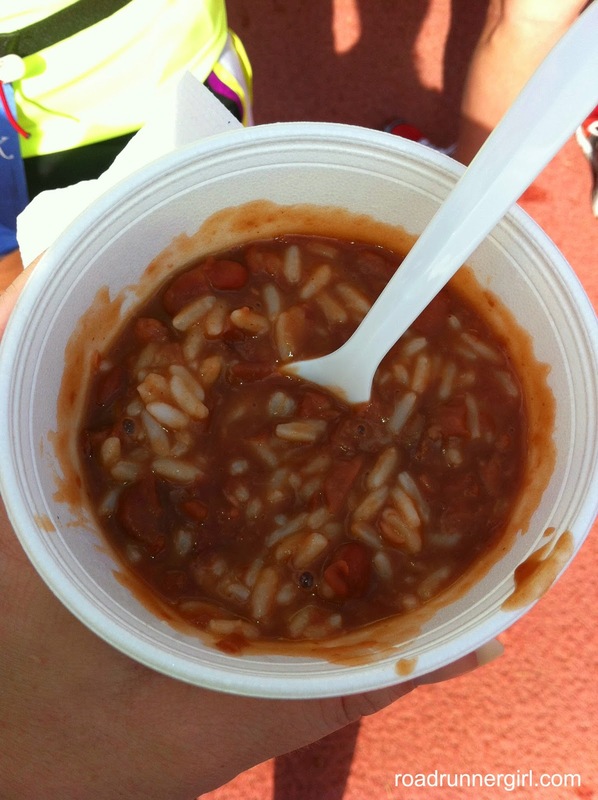 Disclaimer: As a Crescent City Classic Blogger I was given a complimentary race entry and one to share. No other compensation was provided and all opinions in the post are mine and mine alone!